What do you get when two innovative guys combine liquid nitrogen with 100% Canadian dairy? A frozen treat that looks like it was made in the Castle of Dr. Brain! Donald and Gordon are long time high school friends, who have built a successful business in just two years! Not only does their ice cream taste amazing, but watching it being made is entertaining in itself. It’s no wonder that these guys are popular at events like Friday Night Live at the Royal Ontario Museum. Despite being incredibly busy, these awesome guys put aside some time to chat about their cool food business (pun intended!). I enjoyed a Double Chocolate ice cream (with Milo and Oreo!) from Ice Volcano at the ROM. When did you start Ice Volcano? What made you decide to start the company? The concept was first launched at a street food festival in Markham called Night it Up in 2012 – an annual 3 days long food event in July that attracts over 120,000 hungry people! Ice Volcano was then officially registered as business the following year of 2013. We have been doing countless street and food festivals, as well as unique corporate and private catering events, since then. 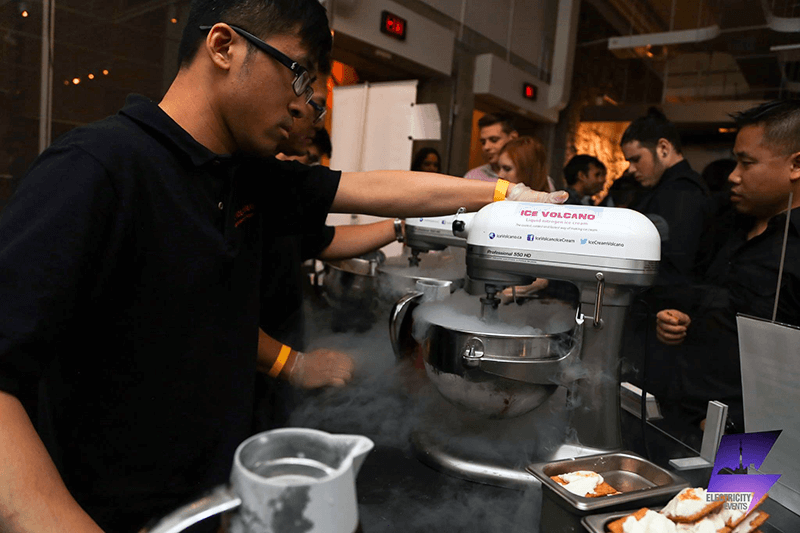 Ever since we first started using liquid nitrogen to make ice cream, we wanted to bring this unique experience and concept to the public. By doing TV and cooking demonstrations, and participating in food festivals, people are educated about our ice cream. They can see how it is better than commercial products, and how much fun it is to watch their own ice cream being made right in front of their eyes! How do you come up with the flavour ideas? We try to use fresh ingredients as much as possible. We also adapt and change our flavours with the seasons. For example, in summer we use fresh berries, and in the fall harvesting season we use apples and pumpkins. Based on the ingredients that we can get our hands on, we’re able to develop some very interesting and unique flavours that you can’t get from anywhere else! 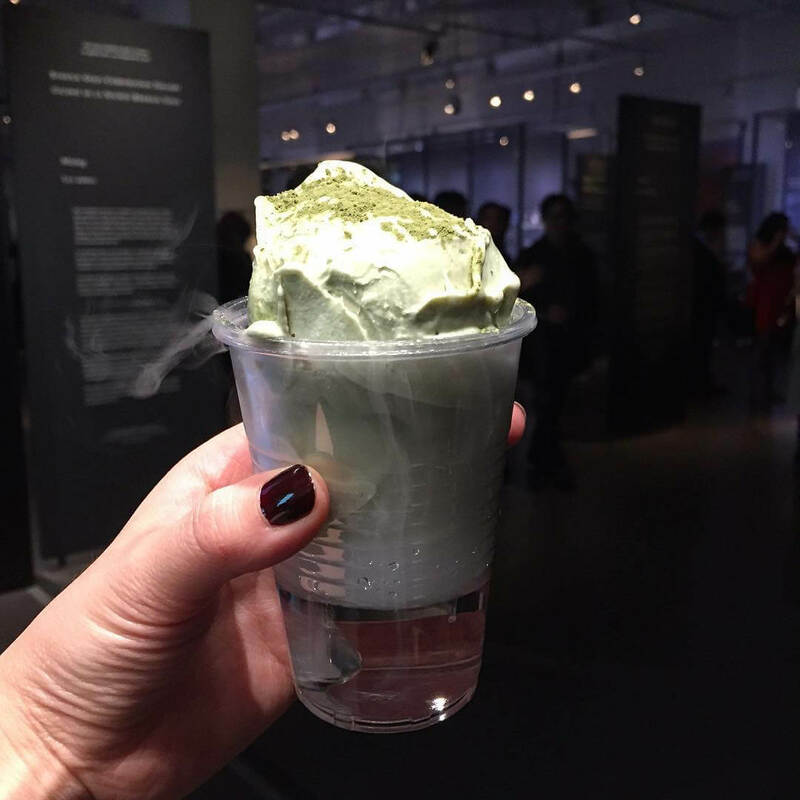 New flavours this year includes the tea series ice cream, which includes Japanese green tea and English earl grey. We have also created a cake series ice cream, which includes tiramisu, caramel apple pie and blueberry cheesecake! 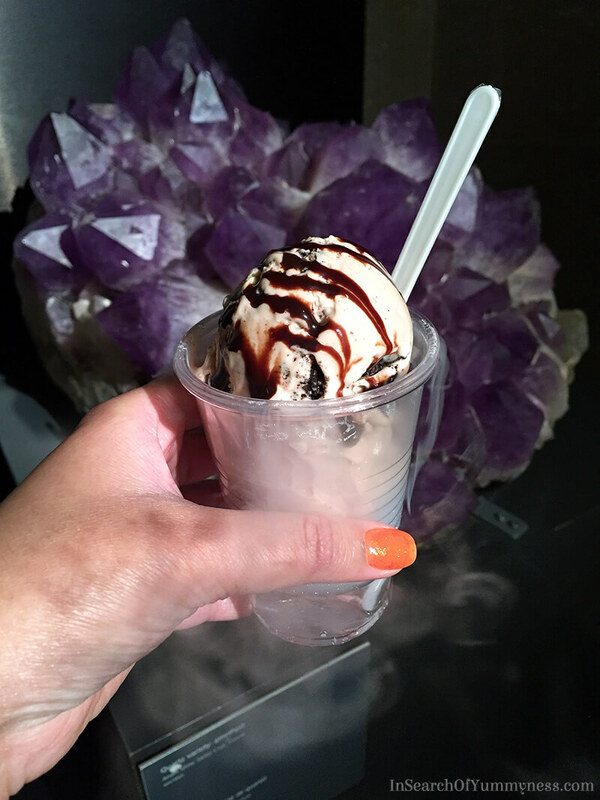 Has anyone ever asked if your ice cream is unsafe to eat because of the liquid nitrogen? People often hear how dangerous it is to work with liquid nitrogen. In fact, with proper training, working with liquid nitrogen is not dangerous at all! It is widely used in food industry as a reliable freezing method. Of course I had to visit @icevolcano_icecream at #tasteoftoronto today! This time I tried the mango frozen yogurt! What’s the best flavour you have come up with? The best flavour has to be from the cake series. Both the tiramisu and blueberry cheesecake are surprising good! What makes your company different from other ice cream companies? Due to the fact we make ice cream fresh on the spot, we don’t need to use any preservatives and chemicals. Also, we only uses 100% Canadian dairy. It is all natural, with no additional vegetable fat or saturated fat added. We’ve been working with Dairy Farmers of Canada over the years, so our product incorporates the “100% Canadian Dairy” logo. Where can people find you to try your delicious ice cream? People can follow us on Twitter and Instagram, and visit our website which lists where we are throughout the year for public events. They can also send email to info@IceVolcano.ca for more info. What a nice post, I love ice cream and now I’m craving it… heehee!